Very rare poster for very rare film which I haven't seen yet. The awful English titles don't it help much. I'm curious to see if Ruth Roman was good for the PEPLUM genre since she was often miscast in other films. 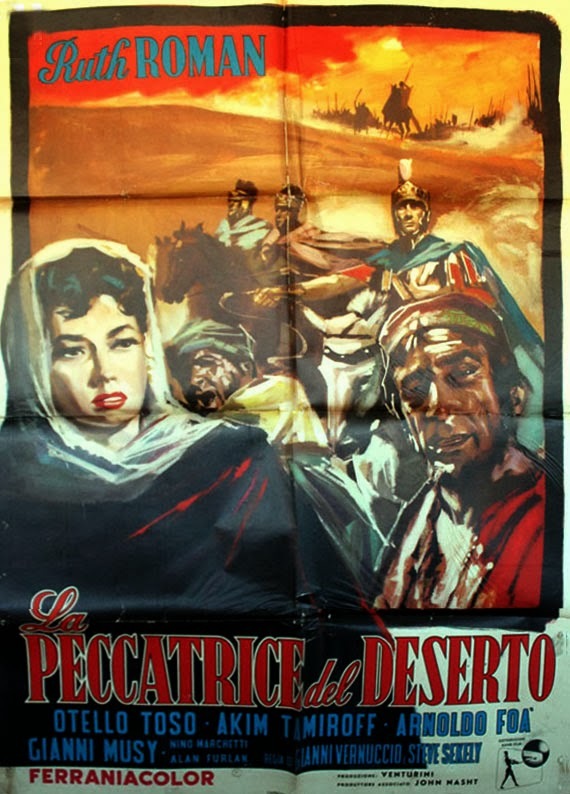 The Italian title translates as THE SINFUL WOMAN IN THE DESERT which ain't great as well. I saw this movie well over 40 yrs. ago, maybe close to 50 yrs. while growing up. I didn't see it in the movies, but on TV and from what I can recall of it was a movie filmed maybe in some part of the Sahara. Question: Where can I find some info on this movie?